Tear 2 extremely long (36″) foil pieces, fold each one in half (18″) shiny side out. Using 3 Tbsp butter, grease one side of each piece. place other piece of foil over top (greased-side-down) and roll up edges on each side to seal. When rice and veggies are done, open up foil pocket (let cool for a minute to avoid burns) and pour rice over top. Stir it all together and eat it with your spork. Yum! 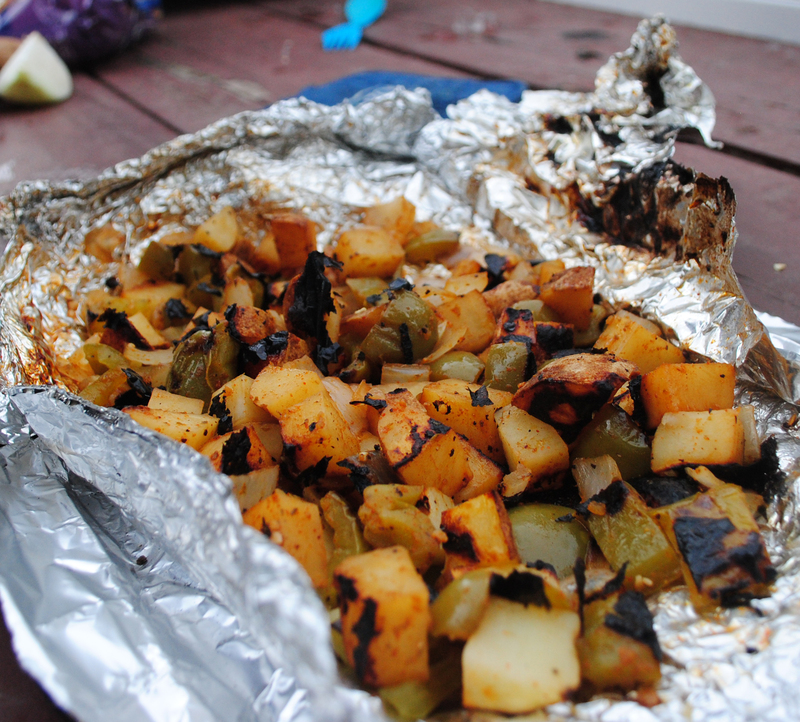 *Veggies can be chopped and zip-locked pre-trip to save some time and hassle in the woods.